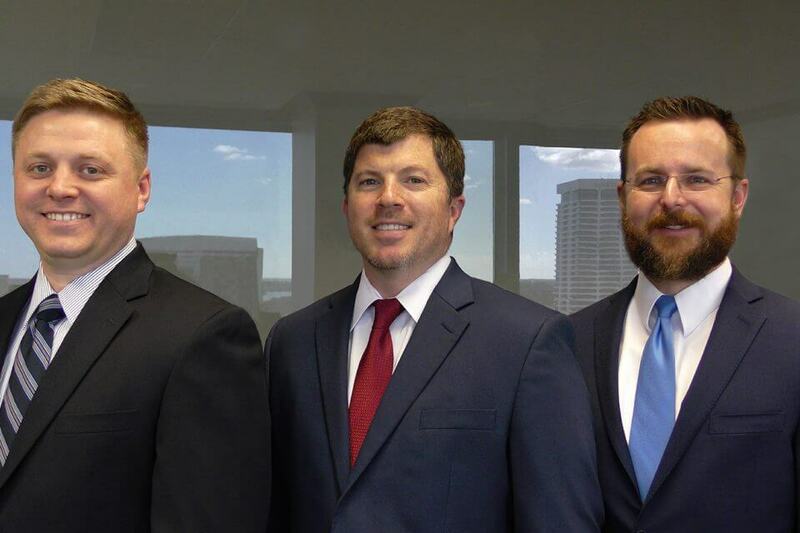 JACKSONVILLE—Jimerson & Cobb is pleased to announce the promotion of three attorneys to partnership: Austin B. Calhoun, Hans C. Wahl and Brandon C. Meadows. 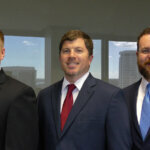 They are the first group of homegrown Partners to ascend from their beginnings at the firm as law clerks. When asked what has been instrumental for each of them achieving this success at Jimerson & Cobb, they provided interesting perspectives with a similar theme. Mr. Calhoun said: “It starts with high energy, a great attitude about my work and clients, and being passionate about the firm. Partners are leaders, so you have to encourage others to follow you. 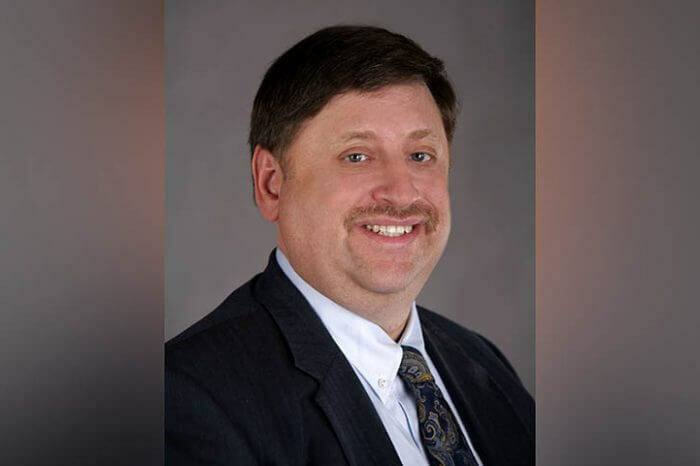 You have to be trustworthy, reliable, timely and competent – but also inspiring.” Mr. Calhoun’s practice is focused on Construction Law and Business Transactions, and he began with Jimerson & Cobb in 2011. Mr. Wahl commented: “We don’t stop when we are tired – we stop when we are done. We go hard until the day has been won and our clients’ goals are met. Being a Partner starts with rolling up your sleeves, taking on tough tasks with substantial responsibilities, and delivering results. That is what we do, everyday – decide, commit, succeed.” Mr. Wahl began with Jimerson & Cobb in 2012 and he is Board Certified in Condominium and Planned Development Law by The Florida Bar. Mr. Meadows shared: “Each of us is a team player. We look for what’s good for the firm before doing what’s good for ourselves- having sound judgment, not taking shortcuts that put the firm in danger, and so on. Team play is just one of the many prerequisites to earning the honor of becoming a Partner at Jimerson & Cobb.” Mr. Meadows’ began with Jimerson & Cobb in 2013, and his practice is focused on Business Litigation and Eminent Domain Law. Jimerson & Cobb is a Florida-based law firm that seeks to exceed client expectations through commitment to excellence and by adding value to our clients’ businesses.